Biomass appliances are becoming more popular as a fuel-burning heating appliance that is both efficient and environmentally friendly, but what exactly is biomass and what are the pros and cons of using it compared to options such as gas or oil appliances? 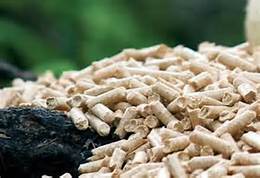 Biomass is a solid fuel which is derived from recently living organisms such as plants or trees and can be used within our homes. The most important characteristic of biomass is that it is carbon neutral - a state which can only be achieved if the wood or fuel crop is managed on a sustainable basis. In this way, the biomass fuel is harvested as part of a constantly replenished crop with new growth absorbing CO2 from the atmosphere at the same time as it is released by the combustion of the previous harvest. This maintains a closed - carbon cycle with no net increase in atmospheric CO2 levels. Originally, the majority of biomass appliances were stoves or room heaters or boilers, with domestic biomass heaters ranging greatly in specification and cost. The most commonly installed type was a small wood burning stove with a small back boiler. While there are some biomass boilers on the market, these are less common. However, with the introduction of Renewable Heat Incentive for domestic appliances, boilers replacing traditional gas or oil fired central heating boilers more and more common. Does it pay to go biomass? While it does cost more on average to install a biomass appliance than a fossil fuel based alternative, the difference in installation price can be made up from future cost savings in fuel. Biomass is a sustainable fuel source if managed correctly i.e. trees need to be planted to replace those used. Virtually carbon neutral, although there is a carbon cost involved in cutting down the trees, transporting wood and processing it into logs/chips/pellets. Biomass fuels are less susceptible to price increases than traditional fuels such as oil and gas. Will produce very little smoke if maintained and run well. If you replace your coal/electric heating system with biomass you can reduce carbon dioxide by about 9.5 tonnes per annum. Biomass boilers are normally larger than a gas/oil boiler. Some stove systems require an additional heat leak radiator to 'bleed off' excess heat when you have no demand for it. Only a small number of biomass systems can be used in smokeless zones - if you live in such an area you will have to do careful research into the various manufacturers to ensure their system is suitable. You will also have to use a good quality fuel with very low levels of contaminants such as bark, grit etc. Biomass fuel costs are currently similar to mains natural gas, however, gas is likely to become more expensive in the long term, making biomass more attractive. Initial costs can be very high compared with traditional gas or oil installations. Biomass systems require a lot of space to store the fuel e.g. hopper/wood store and fuel needs to be kept dry to burn cleanly and efficiently. More labour intensive than traditional gas or oil installations as you need to keep the hopper full, plus greater cleaning and maintenance required. You will need a reliable supply of fuel as all various types of biomass fuel are not always readily available. The further they have to be transported the greater the carbon footprint and the greater the cost. Although biomass boilers do reduce the carbon footprint of domestic heating systems, they are certainly not the perfect solution for everyone. As they become more popular, fuel costs may increase and in the long term, the UK may not physically be able to produce enough timber/biomass crops to fuel them if we all installed biomass systems. To find a local professional who specialises in biomass, search on the APHC website at http://www.aphc.co.uk/find_an_installer.asp.